Third Postcard Edition: The second and third postcards are identical save for the image. 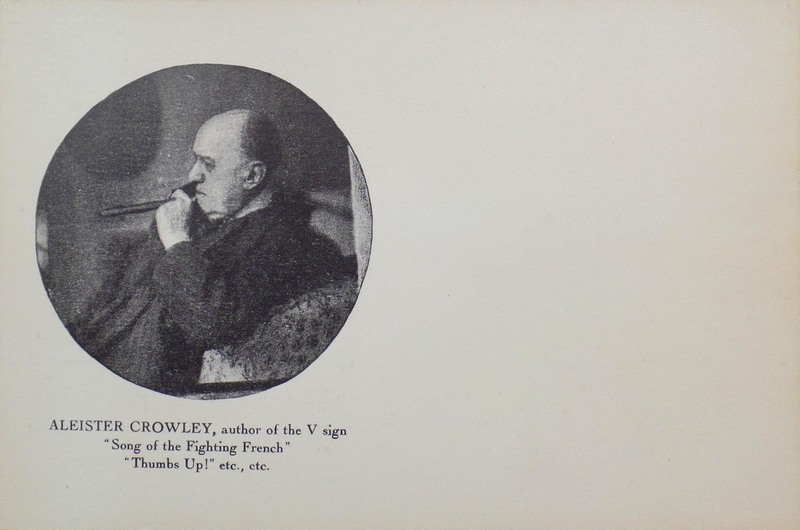 One features a photo of Crowley with a large pipe, commonly referred to as the “North Sea Patrol” – The other, an image of Crowley sitting in a chair smoking a large cigar and include the caption, “Aleister Crowley , author of the V sign — Song of the Fighting French—Thumbs Up! 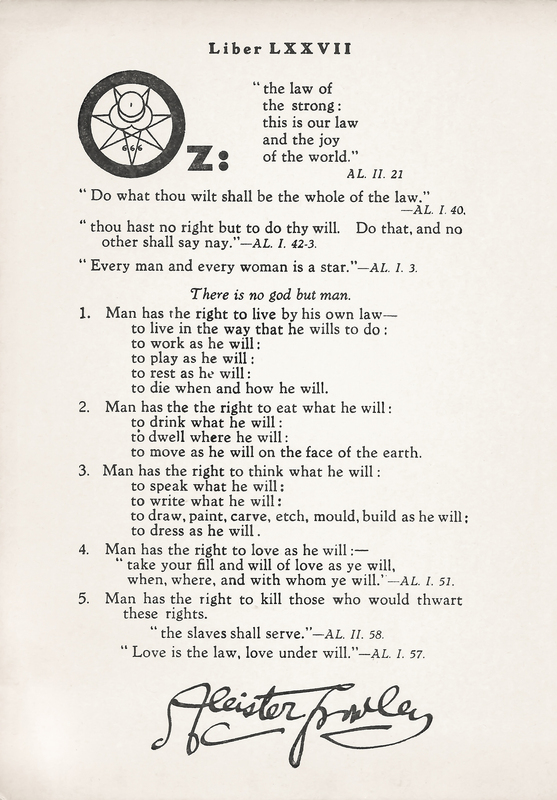 etc., etc.” Printed by Chiswick Press on the approximate date of the 10th of August, 1942 – London, England. A single piece of thick paper measuring 6″ × 4¼”.